INDICATIONS: Kerasal Foot Exfoliate Moisturizer contains 5% salicyclic acid, skin softener, 10% urea, hydrates the skin, soft white petrolatum, optimizes softening. Features Of Kerasal Foot Exfoliate Moisturizer. Have you tried various foot creams or foot lotions and still have dry, cracked feet? In a user study, 99% of users saw better results with Kerasal than their previous foot moisturizer brand. Try Kerasal & see visible results in just one day! 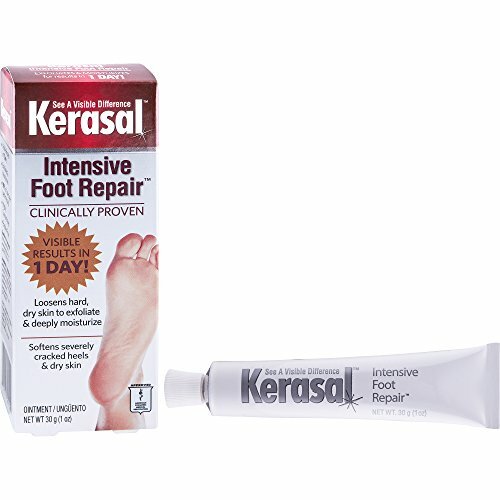 Kerasal Intensive Foot Repair is specially designed to help repair dry feet and cracked heels. Kerasal does more than a basic foot cream or foot lotion - it combines both a foot exfoliator and foot moisturizer for complete care in one easy step. Its unique formula exfoliates dry, cracked skin and deeply moisturizes to help restore smooth, soft feet. Kerasal is different than foot creams and lotions like Flexitol Heel Balm, Amlactin Foot Cream, Amope, Gehwol Foot Cream, O'Keefe's Healthy Feet and Dr. Scholl's Foot Cream. Kerasal is a unique patented, highly concentrated ointment that is clinically proven to soften dry, cracked feet and rough heels. In fact, it is clinically shown to repair dry feet as well as a leading prescription treatment. APPROVED BY THE AMERICAN PODIATRIC MEDICAL ASSOCIATION. The science and clinical data behind Kerasal Intensive Foot Repair has earned it the approval of the American Podiatric Medical Association. Try the foot moisturizer approved by medical professionals and see the difference for yourself. Don't just mosturize dry feet, repair them with Kerasal! This exfoliating foot moisturizer helps remove hard, dry skin as you moisturize. Its concentrated formula provides the intensive moisturization that dry, rough feet need to help restore them to soft, smooth feet. FOOT CREAM WITH SHEA BUTTER: Feet go through a lot in a day, so why not pamper them at night with a rich, moisturizing foot cream? 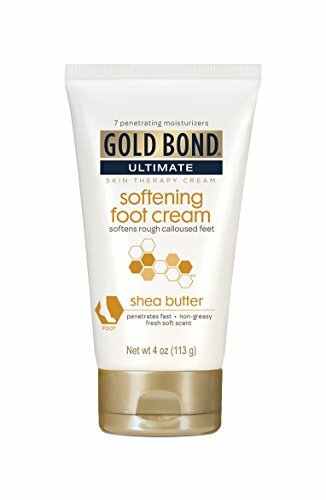 Gold Bond's Softening Foot Cream is specially formulated with vitamins & moisturizers to help your feet feel soft & smooth. 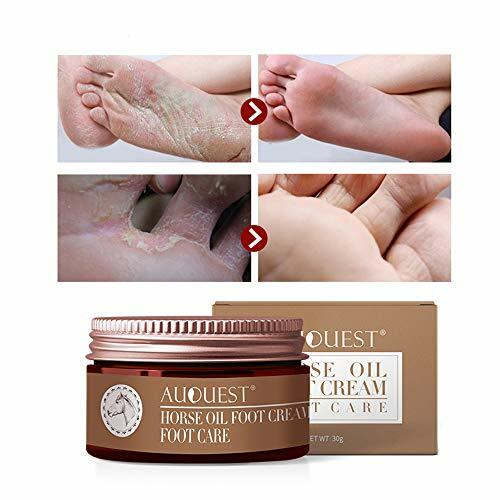 FOR ROUGH, DRY FEET & HEELS: This fast absorbing foot cream has a fresh soft scent & leaves even rough, calloused soles, & heels feeling softer & smoother. Shea butter, vitamins A, C, and, E & a unique silk peptide matrix make this cream rich & soothing. GOLD BOND SKIN CARE: Gold Bond is known not just for powder, but for a variety of medicated & non-medicated body powders, skin creams, & ointments. Since 1908, Gold Bond Powder has been providing comfort, soothing relief, & skincare to adults & children. A WELL ROUNDED MEDICINE CABINET: When you or a family member is in pain, sick, hurt, or just generally feeling under the weather, you don't want to run to the pharmacy. A well stocked home medicine cabinet helps ensure relief is at hand when you need it. COMPARE TO OTHER POWDERS & CREAMS: Compare to products from brands like Mexsana, Caldesene, Assured Body Powder, Johnson's, Ammens, Salubrex, Puriya, Terrasil, Thena, Theraworx, Flexitol, Skin Clinical, CeraVe, Honeyskin, Baebody, Aquaphor, & Dermarest. 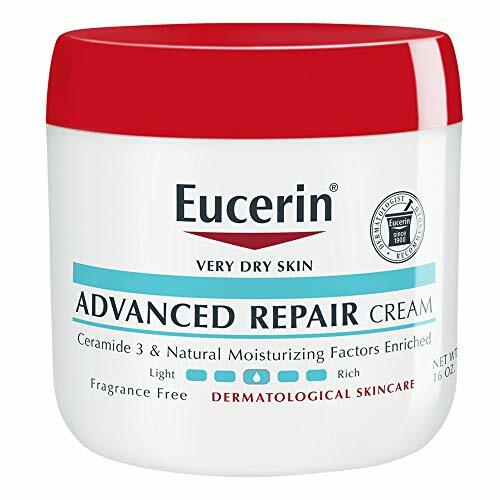 Eucerin Advanced Repair Cream is a breakthrough in repairing very dry skin and provides 48 hour moisture, for skin that looks and feels healthy. Brand: Eucerin | Manufacturer: Beiersdorf, Inc.
O Keeffe s for Healthy Feet Foot Cream is a concentrated foot cream that heals, relieves and repairs extremely dry, cracked feet. 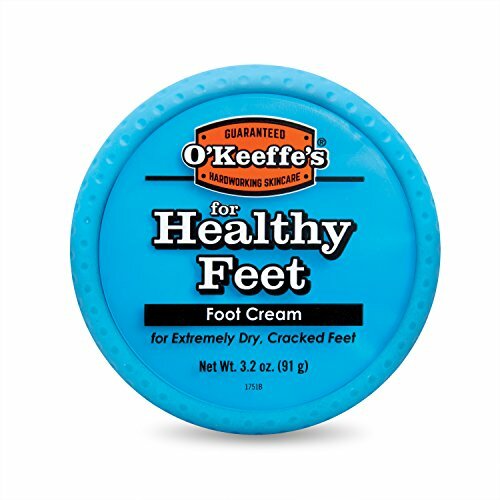 Containing a high concentration of glycerin, O Keeffe s for Healthy Feet draws in and retains moisture, which is necessary for healthy-feeling, hydrated skin. Our Healthy Feet Foot Cream contains increased levels of Allantoin versus Working Hands Hand Cream. The formula helps to penetrate thicker and rougher surface skin on the feet. It is safe for people with diabetes. 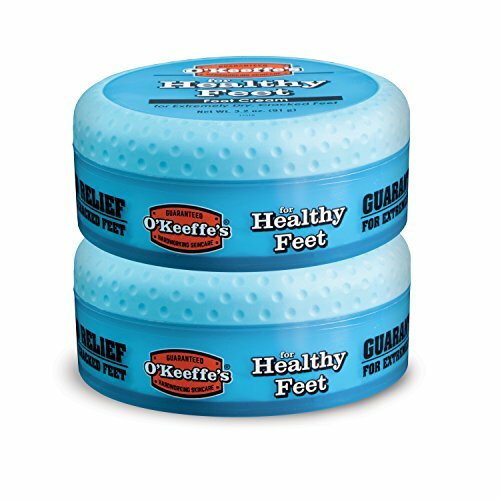 When used daily, O'Keeffe's for Healthy Feet is clinically proven to instantly boost moisture levels, help prevent further moisture loss, create a protective barrier on the skin's surface, make a difference you will feel within days. Foot Representative Photos: Before and after foot images from two week usage period. Cream was applied twice daily. Results may vary. 100% Money Back Guarantee - If you are not fully satisfied with the performance of O Keeffe s products, we will refund 100% of the purchase price. Simply return the unused portion of the product and your receipt to 2105 E. Kemper Road, Cincinnati, OH 45227 for a prompt refund. Click on the O'Keeffe's link at the top of this page to shop the O'Keeffe's Amazon Brand Store. 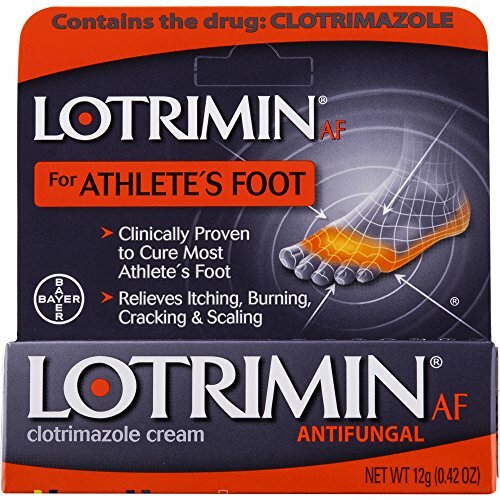 Get relief from the itching, burning, cracking, and scaling symptoms of athlete's foot with Lotrimin AF Antifungal Cream for Athlete s Foot. The active ingredient in this athlete s foot treatment is clotrimazole, which helps to relieve the discomfort of athlete s foot symptoms and is clinically proven to cure most athlete's foot infections. Soothe itchy, cracked feet and toes with this odorless, greaseless, and non-staining formula that s easy to apply topically to affected skin. Fight fungus with the power of Lotrimin AF Antifungal Cream your tinea pedis is no match for this treatment that works to cure most athlete s foot. Lotrimin AF Antifungal Cream can also be used to treat jock itch and ringworm. Safe for kids over 2. PROVIDES SOOTHING ITCHY SKIN RELIEF: Treat cracked feet and toes with Lotrimin AF cream, for effective relief. PROVEN TO CURE MOST ATHLETE'S FOOT: Clinically proven to cure most athlete's foot infections, Lotrimin AF Cream for Athlete's Foot controls the fungus that causes tinea pedis, commonly known as athlete's foot. SAFE FOR KIDS OVER 2: Help your little athlete with his or her itchy and scaly feet. Not for use on children under two years of age except under the advice and supervision of a doctor. DOES NOT STAIN: Lotrimin delivers a worry-free antifungal cream treatment in an odorless, greaseless, non-staining cream that's easy to apply. CONTAINS 1% CLOTRIMAZOLE: This clinically proven ingredient relieves itchy skin and cracked feet as it helps to control the natural fungus that causes athlete's foot, jock itch, and ringworm. 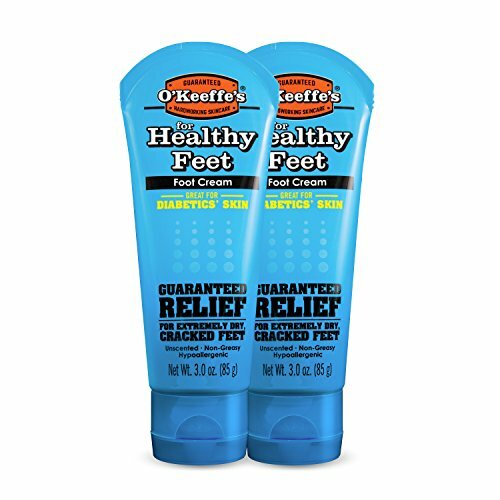 O Keeffe s for Healthy Feet Foot Cream is a concentrated foot cream that heals, relieves and repairs extremely dry, cracked feet. It is safe for people with diabetes. When used daily, O'Keeffe's for Healthy Feet is clinically proven to: - Instantly boost moisture levels - Help prevent further moisture loss - Create a protective barrier on the skin's surface - Make a difference you will feel within days Foot Representative Photos: Before and after foot images from two week usage period. Cream was applied twice daily. Results may vary. 100% Money Back Guarantee - If you are not fully satisfied with the performance of O Keeffe s products, we will refund 100% of the purchase price. Simply return the unused portion of the product and your receipt to 2105 E. Kemper Road, Cincinnati, OH 45227 for a prompt refund. At Last! The Foot Cream You've Been Waiting For! Are you always on the go and have to spend all day on your feet in your uncomfortable shoes? Do you suffer from calluses and hate your dry and cracked heels? Are you looking for a way to be sandal-season ready but no foot cream has given you the results you need? Then look no further because we've got you covered! The PurSources foot cream is everything you've been looking for! Tight and uncomfortable shoes, an active lifestyle, and long hours at work can seriously damage the skin of your heels. Well, your feet have been through enough! Now it's time to take good care of them! With the PurSources Urea 40% Foot Cream you will finally get the smooth heels you desire in no time! This amazing product will deeply moisturize and nourish your feet so that your skin can be completely restored and so you can be free of painful calluses and unattractive cracked skin. Your feet will be healthy and soft and your heels ready for your favorite pair of sandals! The PurSources Urea 40% foot care cream is made in the USA with the best quality ingredients so you can have flawless results every time. The pure formula of the cream is very effective so it can gently and deeply nourish your skin for quick and long-lasting results. We are certain that you will absolutely love our amazing foot cream and this is why we offer you an unlimited satisfaction guarantee! Just give it a try and if you don't get the results you want, we will give you a full refund! Just Click "Add To Cart"
THE TREATMENT YOUR FEET DESERVE: Uncomfortable shoes, a fast paced life, sports - your feet have to endure a lot every day and it's only natural that your heels end up cracked and dry! With the PurSources Urea 40% Foot Cream you can have the smooth feet of your dreams in the easiest and quickest way possible! The amazing formula of the cream will deeply moisturize and soften your feet for phenomenal results! AMERICA'S FAVORITE FOOT CREAM: The PurSources Urea 40% Foot Cream is made with pride in the USA with premium quality ingredients, so you can rest assured that you're getting only the very best! And if you don't believe us, just ask the thousands of Americans that trust and prefer our Amazon Best Selling products! PREMIUM QUALITY FORMULA: This wonderful foot care cream is specially formulated with carefully selected ingredients that will give you unique results fast. Urea cream is commonly used to reduce itching and prevent dry and scaly skin. The pure formula of the cream is incredibly effective yet gentle on your skin so it can be perfect for all cases and skin types. ESSENTIAL FOR EVERYONE: Whether you want to get rid of calluses or you want silky soft heels for sandal season, this foot cream is the right choice for you! The unique lotion will nourish your dry and cracked skin so you can have incredibly smooth heels and get the relief you need from the pain and hassle of calluses. With PurSources you will look and feel amazing so you can dance, run, and enjoy life with no worries! ORDER WITH CONFIDENCE: Your satisfaction is our top priority and this is why we strive to provide you with the best quality products and service. So if for any reason you are not completely satisfied with our amazing foot cream, we will give you a full refund with no questions asked! Just let us know and we'll be happy to help you! 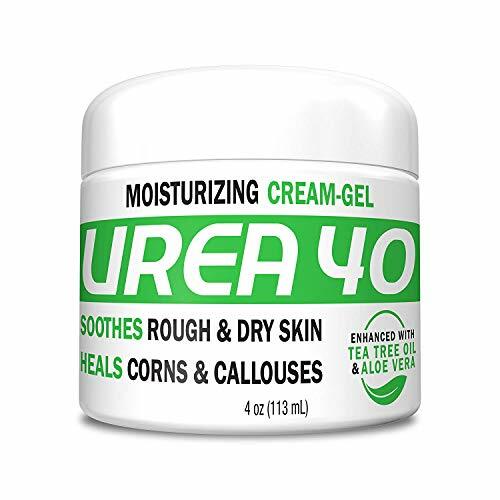 UREA 40 Cream Is A Physicians Recommended Formula And It Is Proven To Give Superior Results. Buy Today! For A Callous Free Healthier SkinNote: Due to higher concentration of Urea 40%, there will be some residue or a white film on top of the skin and in order to minimize this effect we recommend that you gently rub it into the skin while it is damp. Urea in general also has a medicinal smell. Take caution when walking on wet slippery surface after use. PROTECT AND HYDRATE YOUR SKIN - Urea 40% provides a deeply moisturizing and exfoliating experience for your skin for complete hydration. Urea Cream/Gel provides a greaseless, non-staining, non-irritating soothing and moisturizing relief from redness, itching and scaling. DERMATOLOGIST AND PODIATRIST RECOMMENDED - Urea 40% is specially formulated to remove thick calluses and helps repair cracked heels with the most potent therapeutic ingredients including Tea Tree Oil and Aloe Vera extracts. MADE IN USA - Our products are made in USA under the highest level of quality control. Made in a FDA, APHA, PCCA affiliated specialty pharmacy. WE GUARANTEE IT - Get This Ultimate Skin Healing Cream/Gel Now. Best Callus Remover - Hydrates and Moisturizes Thick, Cracked, Rough, Dead & Dry Skin - For Feet, Elbows and hands. NEW in 2018. PreHeels is an advanced skin protectant spray that blocks friction from your shoes, preventing hot spots, irritation and blisters. The product of years of scientific research, in 90 seconds the formula creates a clear, flexible barrier that sits between your shoes and skin to protect your feet from blisters for ~6 hours. PreHeels' lasting barrier provides more than 20x better protection from blisters than the temporary lubricant coating created by wax sticks. PreHeels comes in a portable, premium twist-lock can designed for no-mess use on-the-go, and utilizes aerosolized delivery to allow it to dry fast and to make it easy to apply to any part of your foot, including hard-to-reach places like over the toes, or on the back of the heel. It is hypoallergenic, dermatologist-recommended, clinically proven safe and effective, and washes off with a normal wet washcloth. PreHeels is designed for use with any shoe that rubs you the wrong way --flats, sneakers, loafers, boots, flip flops, heels or running shoes-or as an anti-chafe protectant for use under shorts, bra straps or other clothes that chafe during athletic activity. Quick Tips for Best Results (see images as well): 1) Shake well before spraying and let PreHeels dry for a full 90 seconds to allow the protective barrier to fully form; 2) Avoid spraying on painted nails as the coating can dull their shine. 3) Make sure skin is clean and dry before applying as oils and lotions can prevent the barrier from bonding with the skin. 4) Add a 2nd layer for extra protection, but more than 2 layers can weaken the coating. 5) PreHeels is designed to naturally break down and flake off after ~6 hours so that it can be easily removed with a normal wet wash cloth. 6) PreHeels has a light alcohol scent while the coating dries. It will fade in about 20 seconds. 7) PreHeels only prevents blisters from friction, not pressure blisters. PreHeels spray creates an invisible barrier on the skin that blocks friction from shoes to prevent hot spots, irritation and blisters. A typical application provides ~6 hours of protection before naturally breaking down so that it can be removed with a normal washcloth. WHY PREHEELS? More than 20x better protection against blisters than wax sticks and won't rub off on your shoes. Unlike bandages and inserts, PreHeels is completely invisible and can provide 100% protection to any part of your foot. NEW & IMPROVED FORMULA IN 2018. PreHeels now dries faster, has a lighter initial alcohol scent, and provides even stronger protection than ever before, all while remaining completely gentle on skin. FOR ALL SHOES, NOT JUST HEELS - PreHeels is great for sandals, flats, running shoes or any other kind of shoe that rubs you the wrong way. It blocks any type of skin friction so use it daily to keep your feet healthy, comfortable and beautiful. See additional quick tips below. 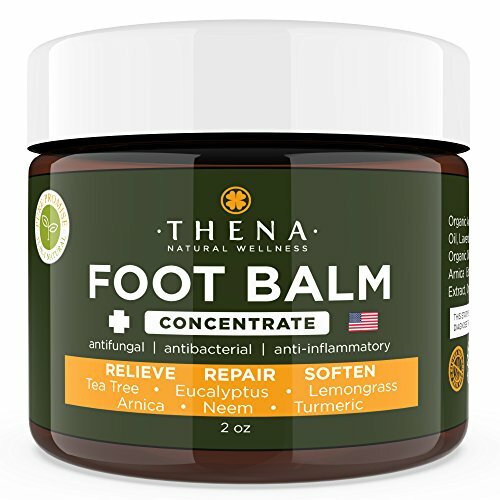 Ancient Greek Remedy Foot Balm is made of 100% PURE raw Blend of Organic Sweet Almond, Cold pressed Olive, Grapeseed, Sunflower and Essential Lavender oil with Vitamin E and plant-based Glyceryl Stearate. VEGAN, GLUTEN, GMO and paraben FREE. Pumice stone is included with the bottle. 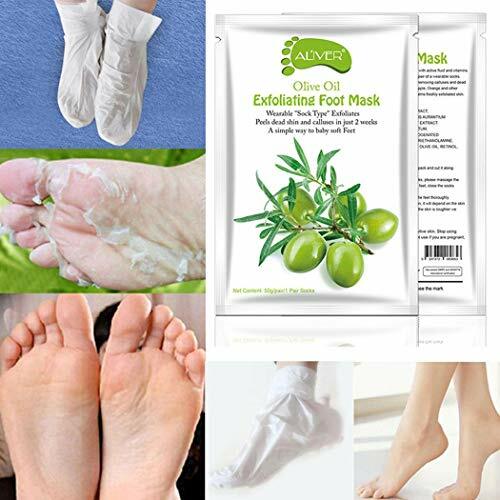 Feet moisturizer full with vitamins promotes natural health and beauty solutions which are superior to any brand name creams which are full of chemicals. each one from the 6 miracle magic oils is a source of unique Vitamins and antioxidants that together create the ultimate solution all for your feet & heels health needs. Perfect for rough, cracked peeling feet & heel. Great as anti-fungal, antibacterial, and anti-inflammatory for feet, Effective treatment for eczema, psoriasis, discoloration & athletes foot. replace your foot file, scrubber, and scraper, they are not needed anymore! simply apply our family recipe once every evening after bath / shower before going to bed and you will have silk Soft beautiful feet within 14 days! ** LIMITED TIME OFFER ** 100% SATISFACTION GUARANTEED OR YOUR MONEY BACK, Feet are still not soft after trying our family recipe? simply email us and we will refund your money on the same day, NO NEED TO SEND THE BOTTLE BACK! Safe for Adult, man, woman, kids girls, boys, toddler and baby. Buy Now with complete confidence and experience ANCIENT GREEK REMEDY FOOT BALM to its fullest. 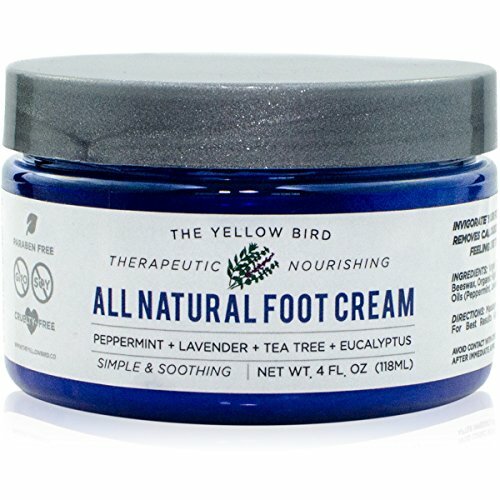 NATURAL FOOT CARE- Everything you need to keep your feet healthy and looking great. Hydrates and locks in moisture to treat cracked heels and tough calluses while anti-fungal, antibacterial, and anti-inflammatory essential oil provide soothing relief from odor and athletes foot. FOOT MASK - our formula doesn't just supply minimal moisture to your feet, our 4 natural miracle Magic oils supply vitamins and hydrating squalene that rebuild your damaged cracked smelly feet skin for the long-term. 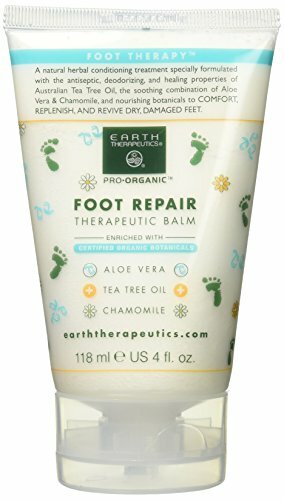 BEST ORGANIC FOOT BALM - contains 6 natural raw oils you know and trust including extra virgin olive, sweet Almond, Grape seed and Lavender Essential oil with Vitamin E and plant-based Glyceryl Stearate for feet and heels. 3.4oz/100ml airless bottle. COLD PRESSED, VEGAN, ANIMAL and ECO FRIENDLY, NON-GMO, GLUTEN and PARABEN FREE. ** LIMITED TIME OFFER ** 100% SATISFACTION GUARANTEED OR YOUR MONEY BACK, simply email us and we will refund your money on the same day, NO NEED TO SEND THE BOTTLE BACK! All Natural Antifungal Foot Cream. Moisturizing Organic Relief for Dry Cracked Heels, Callused Feet, Athletes Foot. Best Therapeutic Grade Essential Oils: Peppermint, Lavender, Eucalyptus, Tea Tree. Buy now Risk Free. Made in the USA. Made in Small Batches. We want you to love this product as much as we do. If you are not 100% satisfied with your purchase simply contact us for a full refund. No questions asked. TOTAL FOOT CARE- Everything you need to keep your feet healthy and looking great. 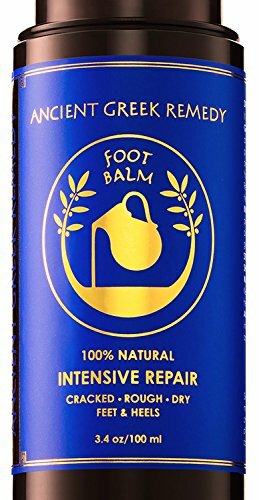 Hydrates and locks in moisture to treat cracked heels and tough calluses while anti-fungal, antibacterial, and anti-inflammatory essential oils provide soothing relief from odor and athlete's foot. ALL NATURAL- Contains 10 simple organic and natural ingredients. Includes therapeutic grade essential oils of Peppermint, Lavender, Eucalyptus, and Tea Tree. With only the best ingredients no sacrifices are made! Paraben free, Phthalate free, Soy free, GMO free, and Gluten free. LONG LASTING COVERAGE - Unlike other foot creams and foot lotions our thick and concentrated formula provides long lasting support. Its unique balm like properties provides additional time for your feet to soak up its nourishing ingredients. REJUVENATING- Massage your feet with this natural foot cream and you'll feel like you've just left the spa. 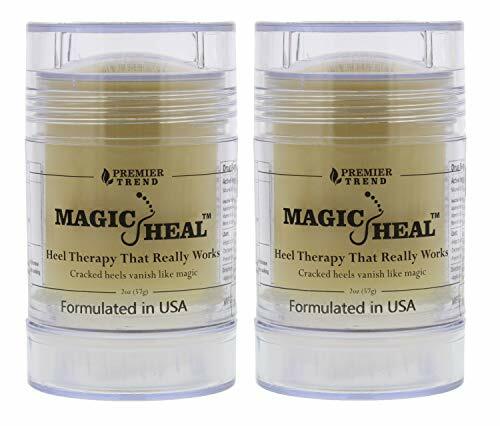 Promotes improved blood circulation, moisturizes, and provides a gentle soothing sensation that's perfect for soothing achy feet or providing relief from neuropathy. 100% SATISFACTION GUARANTEE- Use Risk Free! If you're unhappy with our all natural foot cream for any reason let us know and we'll provide you with a full refund. 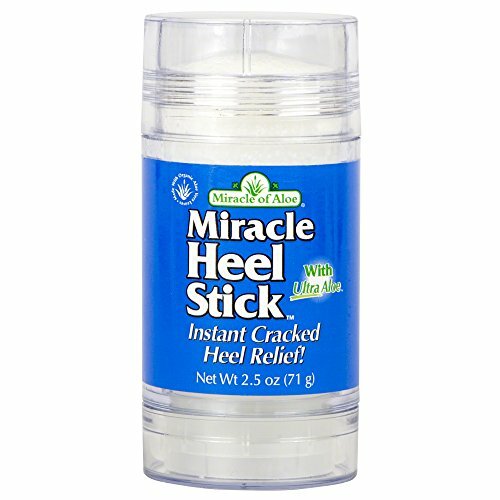 BEAUTIFY AND FIX ROUGH, HARD, CRACKED, PAINFUL HEELS FAST WITH MIRACLE HEEL STICK! Soothing Shea and rich Cocoa butters, Tea Tree oil and healing organic UltraAloe gel work fast to penetrate rough, dried-out skin to soothe cracked, hard heels and restore soft, supple, attractive skin and end ugly feet. Just rub into heels to soften skin, eliminate cracks, heal fissures and moisturize, dry, hard heels. Convenient, no-mess stick applicator makes using it a snap. After a few days you'll be amazed how good your heels will look and how much better they'll feel. HEALS ROUGH, CRACKED, HARDENED, PAINFUL HEELS FAST - End snagged stockings, restore walking comfort and beautify. RICH IN SOOTHING SHEA AND COCOA BUTTERS and powerful Tea Tree Oil with a light peppermint scent. EXCLUSIVE ULTRAALOE ORGANIC PROCESSED GEL from mature aloe leaves harvested at peak potency. COMPACT SIZE AND CONVENIENT no-mess stick applicator that goes on smooth! MAKES HEELS SOFT AND SUPPLE ONCE MORE - both men and women say it's the best heel stick they've ever used! Antifungal Cream made with all-natural & organic ingredients for healthy feet, including 100% tee tree oil and lavender oil, ultra moisturizing, generously replenishes moisture, soothes, relieves, rescues dry, peeling, cracked peel callus skin on feet and heals fungal infections the natural and effective way without side effect potentially causing heart disease or high blood pressure. Feel lighter on your feet with the refreshing Burt's Bees Mama Bee Leg and Foot Creme. This rich creamy formula is made with refreshing peppermint oil and rosemary extract, to soothe and condition skin. Treat your legs and feet to the cooling effects of this 100% natural treatment. It contains no phthalates, parabens, petrolatum, or SLS so you can use this foot cream with peace of mind. Pamper yourself with Mama Bee during your nine month stretch. SOOTHING FOOT CREAM: Give your legs and feet a break with this Burt's Bees cream specially formulated for moms to be with aching and tired muscles. RELAX: Peppermint oil and rosemary extract help relieve pain and soreness from tired, stressed legs and feet as your body changes during pregnancy. PREGNANCY LOTION: This natural cream reconditions and revitalizes skin while the refreshing, fragrant peppermint oil helps relax the body. NATURAL SKIN CARE: This soothing foot and leg treatment for pregnant women is 99.9% natural formulated without phthalates, parabens, petrolatum, or SLS. MATERNITY LOTION: Your body will thank you for this Leg & Foot Cream during pregnancy and after as you're chasing around your little one! 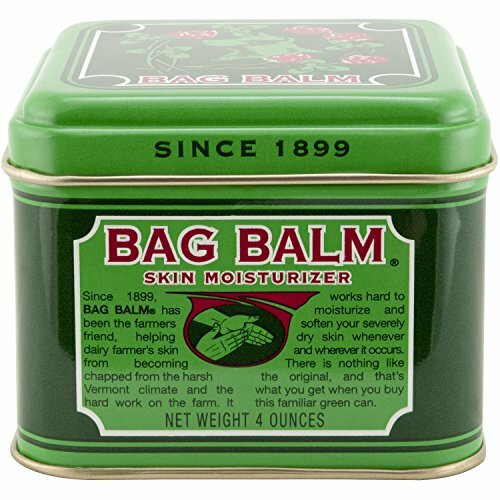 Bag Balm Tin Body Treatment, 4 oz. L'Occitane 15% Shea Butter Foot Cream Enriched with Lavender & Arnica, 5.2 oz. 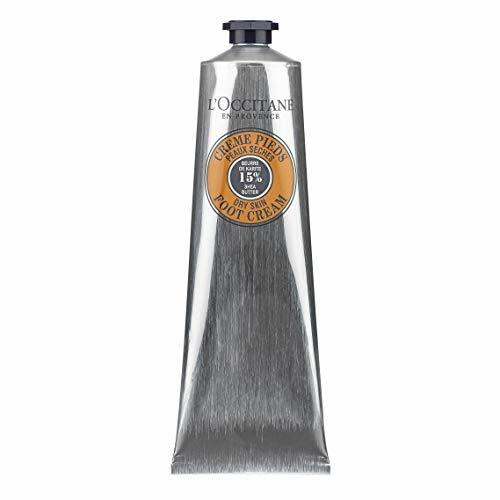 L'Occitane Shea Butter Foot Cream is a prescription for relief and well-being. Our formula contains antiseptic A.O.P. lavender essential oil to purify and anti-inflammatory arnica extract to help reduce redness and irritation. Enriched with 15% nourishing Shea Butter for exceptional comfort, the addition of refreshing mint also cools the feet. Ingredients: Aqua/water - butyrospermum parkii (shea butter) - glycerin- isohexadecane - corn starch modified - glyceryl stearate - cyclopentasiloxane - dimethicone - peg-100 stearate - menthyl lactate - glycol distearate - cocos nucifera (coconut) oil - heterotheca inuloides flower extract - lavandula angustifolia (lavender) oil - rosmarinus officinalis (rosemary) leaf extract - tocopheryl acetate - xanthan gum - panthenol - helianthus annuus (sunflower) seed oil - bisabolol - sorbitol - parfum/ fragrance - cyclohexasiloxane - polyacrylamide - propylene glycol - c13-14 isoparaffin - dimethiconol - ppg-26-buteth-26 - laureth-7 - peg-40 hydrogenated castor oil - dehydroacetic acid - benzoic acid - polyaminopropyl biguanide - phenoxyethanol - linalool - geraniol - limonene - citronellol. Feet feel hydrated, soft and soothed with redness and irritation reduced. Massage from toes to ankles to refresh, soothe and treat tired feet. Our Tea Tree Foot & Body Cream is Easily Absorbed into the Skin. Providing Maximum Hydration and a Moisture Barrier, locking in hydration necessary for Healthy Skin. Developed to Soothes and Condition very Dry Cracked Skin caused by Skin Irritations, Exposure to Harsh Weather Conditions or Work Environments. Softens Callouses, Heels, Elbows and Dry Nail Cuticles. A must for those who enjoy Pedicures and Flip-Flops! Our Tea Tree Foot & Body Cream is packed with 100% Pure Aloe Vera, and High Quality Tea Tree & Peppermint Essentail Oil. Gentle enough for Sensitive Skin and those with Dermatitis, Psoriasis, Eczema and Diabetes. Soothing for those with Skin Irritations such as Athletes Foot, Jock Itch, Tinea Versicolor and Ringworm. A Great gift for the person in your life who has an Active Lifestyle, spend time at the Gym or who Over Works their Hands & Feet. Gentle enough for those with Psoriasis, Eczema, and Diabetes - Strong Enough for those who Have Overly Dry Skin: Callouses & Cracks - Excellent for those who overwork their Hands & Feet, and a Must for Flip-Flop Season. Hydrates & Moisturizes Dry Calloused Cracked Skin - Body Cream is Easily Absorbed into the Skin, Providing Maximum Hydration and a Moisture Barrier - Locking in Hydration necessary for Healthy Skin. Great for Unwanted Foot and Body Odor - With the added benefit of Tea Tree & Peppermint Essential Oils - Your Feet will Feel Refreshed! Natural, Non-Grease, Easily Absorbs - We spent Two years developing just the right Foot & Body Cream - Will Leave Your Feet feeling Silky Soft! Say Good-bye to dry skin and cracked heels. Make your feet soft and beautiful with the Amop Pedi Perfect Daily Moisturizer for Feet. This unique formula is clinically proven to help keep feet hydrated for up to 24 hours. The non greasy foot lotion is enriched with Vitamin A, Vitamin B3, Vitamin E, Omega 6 and natural oils that all work together to rejuvenate your tired, dry feet without leaving a greasy residue. It's so effective, the foot cream will help prevent skin dryness when used daily on the legs, heels and feet for at least 4 days. For best results, apply the foot cream liberally to dry feet after using the Amope Electronic Foot File or our other amazing products in the Amope Foot Care Line. This is a soothing foot relax sheet made from natural tree extracts with detoxing properties. It stimulates the reflex points on feet which therefore restores balance to entire body. .DIRECTIONS:Apply to tough,dry,cracked and thickened skin on feet.apply twice daily,morning and night,recom-mended for adult skin only.stinging may occur in deep craks.discontinue use if local irritation or rash occurs during use. Contain 25% chemically synthesized urea in a highly concentrated moisturizing and emollient base. For external use only.keep out of reach of children.avoid contact with eyes. Help Restore and re-hydrate the skin back to it natural and health state Support the natural recovery process of dry& cracked skin. Formulated with 20% urea to quickly rehydrate the skin. Plus the benefits from Vitamin E, Urea and Allantoin help moisturize.Leaving the skin soft and silky smooth. Aqua, Urea, Steareth-2, Paraffinum Liquidum, Stearic Acid, Sorbitol, Steareth-21, Isopropyl Myristate, Cyclomethicone, Glyceryl Stearate, Propylene Glycol, Decyl Oleate Tocopheryl Acetate, Glycerin, Vitamin E, Allantoin, Dimethicone, Keratin, Hydrcly Red Keratin, Octyldodecanol, Beeswax,Triehanolamine, Parfum, Carbomer, Tetrasodium EDTA, Faex Extract,Pota Ssium Sorbate, Hyaluronic Acid, Jojoba Oil, Glycolic Acid. Massage into your clean, dry skin at least twice daily. For best results it is recommended use at night and cover feet with socks. *Do not Use on open wounds or broken skin. Avoid contact with eyes, for external use only. *Please store below 30 C,keep out of reach of children. *If irritation occurs discontinue use. NATURAL PRODUCT, COMPLETELY FREE OF TOXINS - Get an eco-friendly skin care solution that is absolutely cruelty-free, environmentally safe and produced with great regard to ecological consciousness; You get the highest quality natural skin care at the best price. 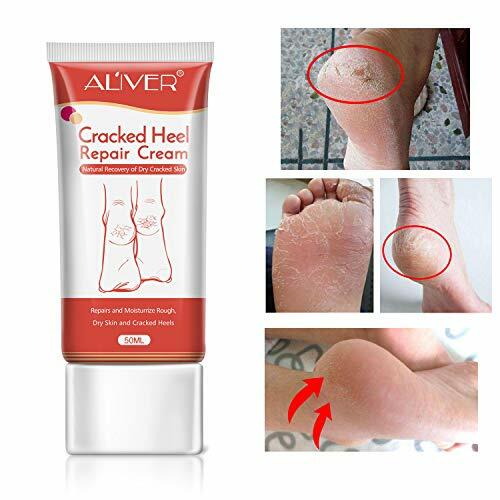 POWERFUL NOURISHING FORMULA FOR CRACKED HEELS - Heal and regenerate cracked, itchy, dry and flaky skin on feet; Aliver natural formula contains Glyceryl Stearate, Propylene Glycol, Decyl Oleate Tocopheryl Acetate, Glycerin, Vitamin E, Jojoba Oil and so on - all very effective moisturizers that will soothe, smooth and hydrate your skin. CONFIDENCE ALL YEAR LONG. Keep your feet smooth and soft no matter what season it is. Our Foot Cream's non-greasy, highly moisturizing formula absorbs quickly to give you your most beautiful feet yet-so you never have to feel self-conscious again. Crafted from natural and safe ingredients our cracked feet repair moisturizer cream is fast acting. With one of the active ingredients being Silicone Oil, it is also high in Neem and Karanja oils, Cocoa Butter, Shea Butter, Beeswax and other essential oils that helps protect against moisture loss, hydrate and helps your feet shed flaky, dead skin. It is so effective that it can be used on dry skin for other parts of the body like your elbows and knees, as cracked elbows repair and cracked knees repair. Designed for easy application, the cracked feet cream comes in a special push stick applicator that glides smoothly over the affected area, leaving your hands free of messy residue and you won't even have to wear gloves. The cracked knees cream is so effective that you will see a drastic improvement in just four to five applications. Our foot cream is everything you've been looking for! With our Foot Cream you will finally get the smooth heels you desire in no time! Our foot care cream is made in China with the best quality ingredients so you can have flawless results every time. Pure Hemp Ultra-Hydrating Herbal Hand & Foot Glaze is a lightweight, concentrated formula that quickly hydrates, conditions and protects. Brand: Hempz | Manufacturer: PBI Group Inc. Note: Due to the difference between different monitors, the picture may not reflect the actual color of the item. We guarantee the style is the same as shown in the pictures. Thank you.